Today (February 14, 2017) saw the official launch of the Wales School for Social Care Research at the Temple of Peace in Cardiff. The Wales School for Social Care works across Wales from a hub in Swansea University, with staff also based in Cardiff University and Bangor University. Funded by the Welsh Government through Health and Care Research Wales, the School has been created to improve and increase social care research in Wales. Its close links with providers of social services will ensure that care and support for children, young people and adults in Wales is based on solid evidence of what works. 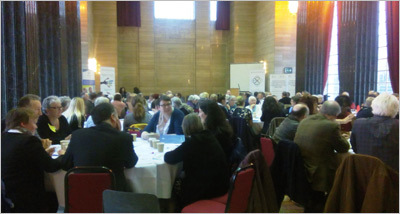 Rebecca Evans, Minister for Social Services and Public Health, who spoke at the launch, said: “The Welsh Government has prioritised social care as a sector of national strategic importance. Professor Fiona Verity, Director of the Wales School for Social Care Research, said: “At the heart of the School will be a genuine approach to working together; sharing and generating new knowledge that can make a difference. 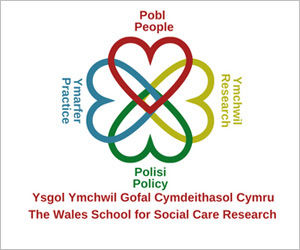 We believe the School is a vital step in improving social care research across Wales in ways that strengthen and build on what is already happening across the country. With a focus on collaboration and partnership, the School will be working closely with universities, policy makers, social care services in Wales and community organisations, as well as Social Care Wales, which will come into force in April this year. There will also be an emphasis on involving and engaging the public in social care research, helping to better meet the needs of individuals, their families and carers. The School will work with social care providers to help improve care for children, young people and adults as outlined in The Social Services and Wellbeing (Wales) Act 2014. The Act gives people a stronger voice and greater control over the support they need, as well as ensuring services are sustainable for the future. It also promises to strengthen powers to safeguard vulnerable people and give carers greater rights.